Mayor Garcetti and City Council bring Olympics to L.A. The Summer Olympics will head to Los Angeles in 2028, as the International Olympic Committee reached an agreement with Los Angeles city officials Monday, which now sets up Paris to be the frontrunning host of the 2024 Summer games. 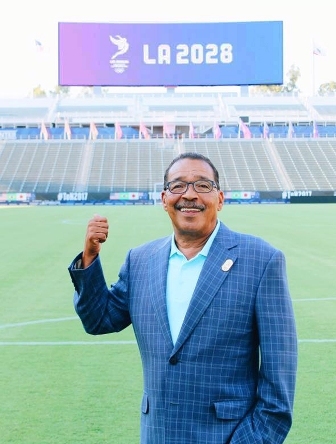 “Hosting the Olympic and Paralympic Games for the first time in 44 years is a golden opportunity for L.A.,” said Los Angeles Council President Herb Wesson in a statement on Monday. The Los Angeles Organizing Committee will receive funds from the IOC that include sponsorships, local funding, as well as ticket sales. $1.8 billion is the amount expected to help carry Los Angeles through their longer planning period and has the potential to exceed $2 billion according to the evaluation of the L.A. bid committee when taking into account the estimated value of existing sponsor agreements to be renewed and potential new marketing deals. The United States Olympic Committee has been trying to bring the Summer Games back to the United States for more than a decade, with failed bids for New York City in 2012 and Chicago in 2016. 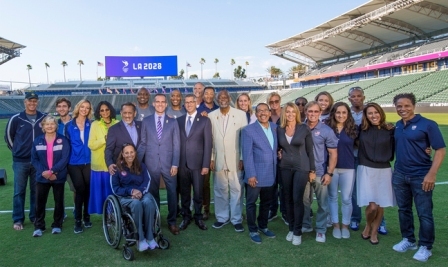 “LA 2028 will help connect the Olympic Movement with the youth of the world and provide the IOC with long-term stability and sustainability, and demonstrate the viability of hosting the Games to future bidders,” said USOC Chairman Larry Probst. With the race between Paris and Los Angeles being so slim over recent weeks, ultimately, it was a situation from which both sides could benefit, with only timing being the difference. Sports, infrastructure, social programs, and finance are all determining factors that contributed to the win for the city. Even with the deal being imminent, both sides will still need to work out final stages of meetings. The Los Angeles City Council and United States Olympic Committee Board of Directors will consider the agreement for approval in August of this year. If approved, the IOC, L.A. and Paris may enter a tripartite agreement, clearing the way for IOC membership to simultaneously confirm the Olympic Games 2024 to Paris and the Olympic Games 2028 to Los Angeles at the next IOC session in Lima, Peru on September 13, 2017. One thing that vastly supports Los Angeles in funding is having an early plan to not have the city construct any “permanent arenas,” which is a plan that still could change over time. However, having dorm rooms and arenas at the University of California, Los Angeles and University of Southern California are fundamental and key logistical locations. The IOC will find the city of Los Angeles is a proud and enthusiastic partner in this ‘win-win-win’ scenario,” said Wesson. Congresswoman Karen Bass issued the following statement via a press release, following the International Olympic Committee’s announcement.